We have many years of experience in evaluating and repairing molded case circuit breakers. A typical circuit breaker, once put into service, is never touched again for the lifetime of the installation. While this is not the case for many industrial installations which undergo scheduled maintenance testing, most applications in light industry, commercial, and residential are left to perform their designed function without thought of failure or reliability. It is only when there is a problem that "suspect" circuit breakers may be tested or possibly even removed from service and replaced altogether. Many of our clients, particularly those with aged electrical distribution equipment, prefer to keep emergency replacement breaker stock on hand, "just in case". Our experienced staff of technicians can inspect and evaluate your molded case breakers for the potential of repair and requalification for the safe re-application of the breaker. If a breaker has been deemed repairable, our clients are given a repair estimate. Upon approval by the client, the breakers are thoroughly cleaned and put through our usual battery of AB4 tests. Once testing is completed, a test report is printed and kept on file at our facility. Copies of these test reports are available to our clients upon request. Safety and precautionary labels are applied to the breakers and they are carefully shrink wrapped to prevent environmental contamination. Breaker evaluation and testing can save you a lot of time and money in the long run. 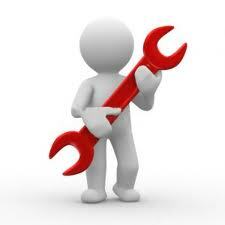 Contact us to make arrangements for our repair services.